Following on from my Market Watch post, Tim Walker kindly sent me some detailed information on the 360 from his perspective as an independent Ferrari specialist. Over to Tim…. The 360 is one of the most affordable, reliable and cost effective Ferrari’s to own. The tipo is ageing well cosmetically and has a long, reasonably flat depreciation curve initially led by mileage. As a guide when we have an interest in a car we contact the seller, discuss the car including the service history and general ownership experiences for the period he /she has owned the car for. We then HPI check the car and, once we are happy, go and view it – please note that everyone will tell you that they looked at 6 cars before buying this one and you will not find a better one in this price range! If you are happy to put up with a fault at purchase when you come to sell it the next buyer probably will not be willing to accept the same fault. A car that has dipped in quality will never come back to the level of a car that has been loved all its life. Buy with your head not your heart – it very easy to say ‘I want it – I can afford it’ without really knowing what your getting involved in. The usual preparation cost for a 360 is £3000 if the clutch is OK and £4500 if a new clutch is required. This preparation should be detailed and carried out before resale – not just the ‘I’ll stick a service and fresh MOT on it as part of the sale’ approach – this is the difference between preparation and just selling a car. We looked into the schemes offered by Warranty wise, RAC and other top companies and decided that any issue that you would get from a 360 would either not be covered or the cost of the policy would mean that you would be better off just paying for the repair. A warranty does not negate the dealers responsibility to the Sale of Goods Act. Any warranty should be viewed as a dealer added perk. The age of the car is critical in the reasonableness of what can be expected. For example a part can fail or wear out but was the part checked by the dealer and is there evidence of this check? If you are buying a Ferrari, buy the best car you can afford with the lowest mileage. If you can only just afford the car then you probably cannot afford to run it. If a dealer has done the job properly then a dealer car is not just the same car as a private sale in flashy showroom. In most cases dealer prices are usually around £1500 – £2000 more than private adverts but you should get a better car, legal protection (SOGA) and a helping hand in times of trouble. Check out your dealer carefully. 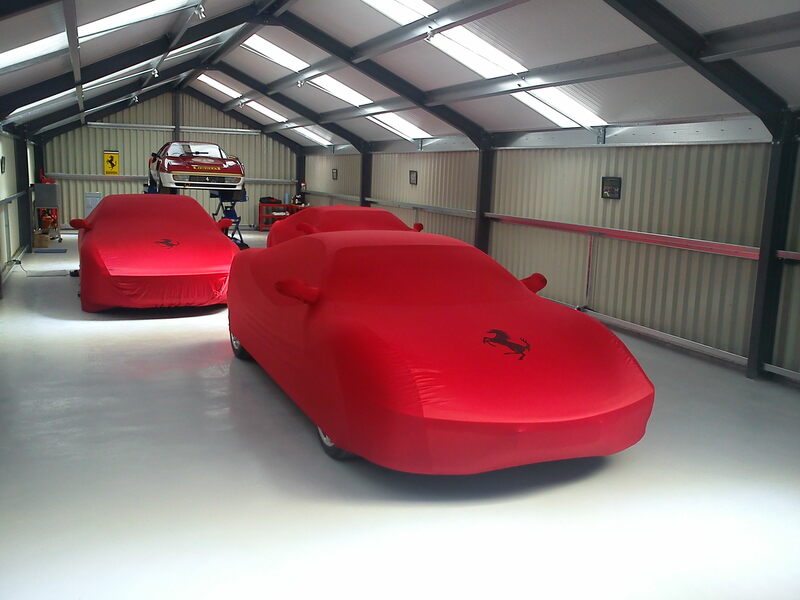 If you buy private then get it inspected by a Ferrari specialist – but also check what they are going to cover, very few inspectors perform both mechanical and cosmetic inspections. Great respect for your depth of research and presentation. You are a superstar and much needed by us. Thank you.